Today, I am going to be sharing with you all what I received in my April Ipsy bag, which I really liked. The products I got this month were pretty cool, and they have been perfect additions to my spring routine. Probelle Nail Lacquer: I have the shade In Or Out, a soft purple crème that's super pretty and easy to wear. This nail polish is 3-free, and has a formula that is pleasant to work with. Very smooth, and offers opaque coverage with just two coats. Crown Brush C427 Duo Fiber Blush Brush: This brush is a nice multi-tasker, and it's going to come in handy when applying foundation, blush,and highlighter. 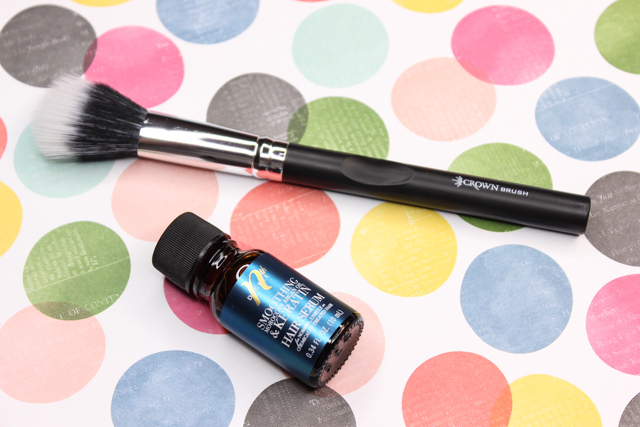 The bristles are comprised of a taklon and sable blend, and it feels very sturdy. I noticed that both the front and back of the handle contain what looks like a dent. I am not really sure if they serve a specific purpose and are meant to be there, or if some sort of malfunction went on, but it's very strange. Unfortunately, I haven't found any specific information addressing the issue. Nth Degree Moroccan Argan Oil & Keratin Hair Serum: My hair is dry, unmanageable at times, and very frizz prone. This serum sounds like a treat. It helps add moisture, shine, and repair split ends. Tarte LipSurgence™ Lip Crème: I have the shade Wonder, which is a soft poppy pink that is right up my alley. 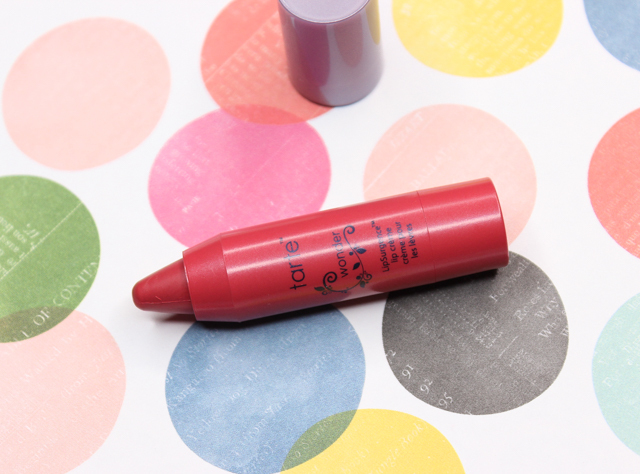 This lip color has a creamy texture that feels comfortable on the lips, and offers nice color payoff. It also has a yummy minty fragrance! 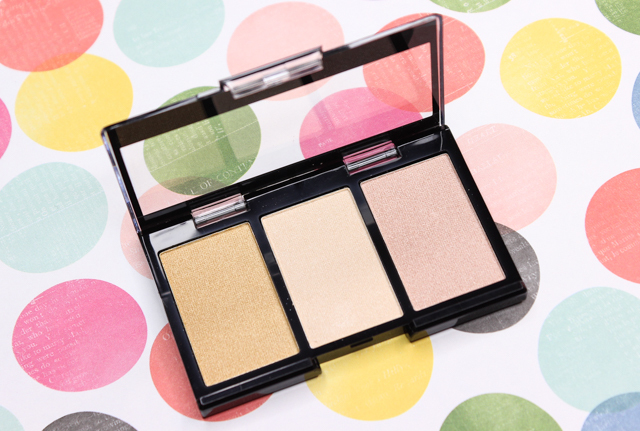 City Color Cosmetics Highlight Trio: I am a huge fan of highlighters, so I am really looking forward to giving these a try. All three of the shimmered shades feel very smooth to the touch, and have nice pigmentation, too. These also double as eyeshadow! 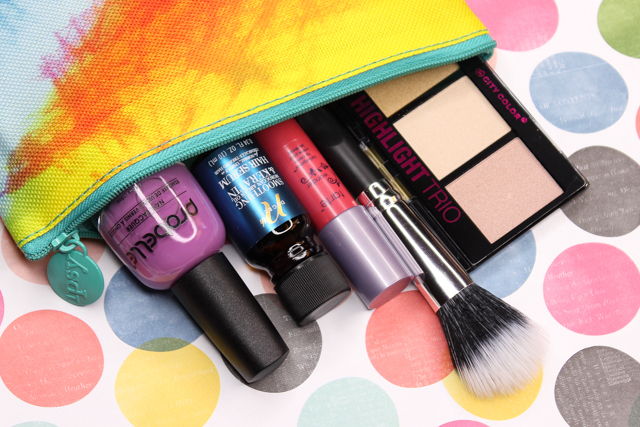 What did you all receive in your April Ipsy bags?